I figured since the Skyward Sword released that it would be prudent of me to talk about some fan made Zelda games. Probably most deserving, and more importantly the most complete, I’ve seen so far is this remake of Link’s Awakening. Made by Xfixium using RPG Maker 2003. This Game Boy classic has been lovingly recreated with 16 bit graphics, combining the look of A Link to the Past and Four Swords Adventure. Up until recently (the 3DS now has this available as a download), this was one of the few Zelda titles that has not seen a re-treatment. A couple quick features that made Link’s Awakening a stand out title – you were not required to wield a sword and shield; it was the first in the series to be able to assign them to specific buttons, switching them out when necessary. And aside from a passing mention of Princess Zelda, this one has little to do with the other Zelda games. 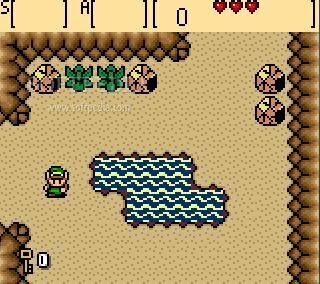 Musical instruments were used in place of the Triforce and it all takes place entirely on Koholint Island. Download the game HERE before it goes away forever. Xfixium also has an Ocarina of Time 2D remake in the works. Check out the Zelda Fan Game Central for a whole host of other user created Zelda games. There’s some cool ideas on there that I look forward to seeing completed. The Legend of Zelda: Threads of Despair is a fan original tale which is styled after A Link to the Past but borrows some concepts and sound effects from Ocarina of Time. The Legend of Zelda: The Sage Knight is a traditional turn based RPG, though I’m not sure how I feel about this one yet. Even as a fan created game, it doesn’t appear to carry much of the Zelda series with it aside from the fact that you play as an elven eared Link. 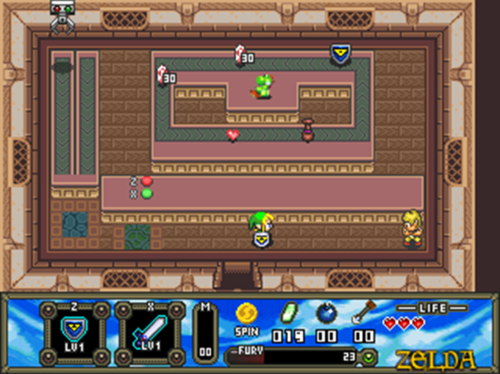 There was also as completed version of a game titled, The Legend of Zelda – Realm of Shadows. This one uses a style taken from Link’s Awakening although a bit more colorful. It was originally written in spanish, so as long as you can stomach the poor english translation, it’s a pretty decent game. I’ve also heard of a Legend of Zelda: A Link to the Past 3D fan remake but there wasn’t much information about it so I’m sure it was shut down by Nintendo. Shigeru Miyamoto himself has hinted that he’s really interested in recreating A Link to the Past as the next official Zelda release. Lastly, and probably the most impressive, The Legend of Zelda: Wand of Weather. Unfortunately the entire thing is in german. Though you can get through much of it without knowing what’s going on. Dialogue in Zelda has never been too important. Has the look and feel of a GBA Zelda game. If there is an english translation out there somewhere, I’d love to see it. Get the download HERE and check out the trailer below.